New Flights to Cuba Leaving Fort Lauderdale/Hollywood International! Remember when you used to be able to go to Cuba for a holiday? Probably not. It has been a long, long time since Americans called Cuba a tourism destination. This wasn't always the case -- before 1959, Cuba was actually quite a popular vacation spot for U.S citizens. A history lesson is not necessary here. The short version is that in 1959, a Communist government led by Fidel Castro took over Cuba, and along with it, U.S. business and financial interests in the country. The U.S. retaliated with embargoes, sanctions and several unsuccessful operations aimed at overthrowing Castro. The result -- in 1961, diplomatic ties between the two countries were severed, embassies were closed and a long period of mutual mistrust followed. In 2015, the tension officially ended with a Cuban embassy opening up in Washington DC, and a U.S. Embassy opening doors in Havana. While diplomatic relations are normalizing, several companies have already been hard at work re-establishing U.S. Tourism to Cuba. 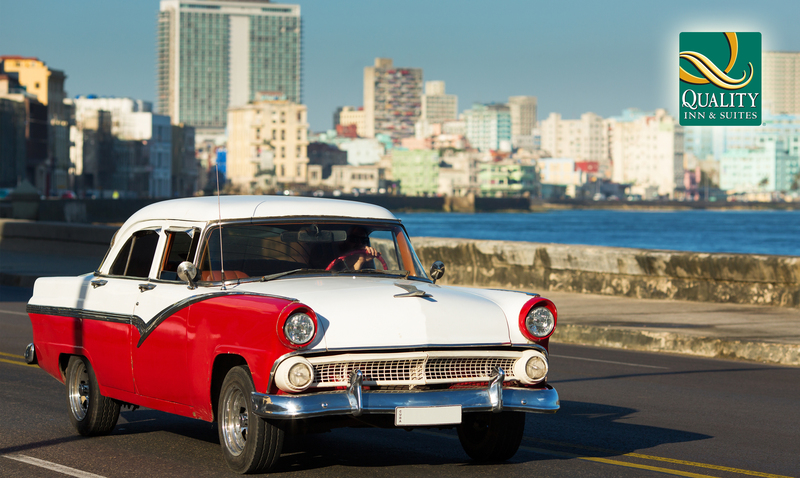 For example, Fathom Cruises, a division of Carnival Cruises, is now offering cruises to Cuba, with stops in Havana and a few other destinations on the island during the cruise. Last month, JetBlue got in on the emerging market by opening up a new route: non-stop service from Fort Lauderdale/Hollywood International Airport to Santa Clara Abel Santamaria Airport, a few hours' drive from Havana. This also marks the first time since 1960 that commercial airline service is offered between the U.S. and Cuba. American Airlines and Silver Airways are also preparing to start their routes between Miami and Fort Lauderdale/Hollywood and points in Cuba sometime in this fall. - While JetBlue's promotional rates promise a $99 one-way fare, be prepared to pay more with taxes and surcharges. - Americans need a visa to enter Cuba. It can be purchased for $50 at the airport. - American tourism to Cuba is technically still against the law. However, educational, professional or humanitarian travel is allowed, so be sure to mark the appropriate columns when filling our your visa application. - Although U.S. travel to Cuba has not been permitted for 55 years, other countries did not have such restrictions. Cuba is by no means a hermit kingdom. Cuba has been a world-class tourist destination for many other countries during the embargo with luxury hotels and resorts, so don't expect a land frozen in time from the 50's. - Don't be fooled by the proximity to the U.S. -- Cuba is a foreign country, so plan your trip accordingly. Research, plan ahead and be respectful of local culture and customs to maximize your travel experience.